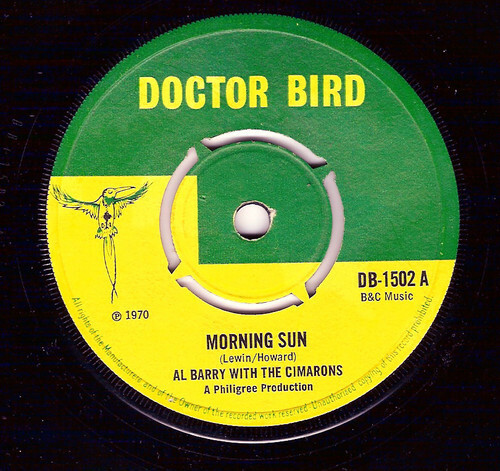 Today’s little gem was originally released in 1970 via Doctor Bird, a UK label set up by Australian sound engineer Graeme Goodall. The Cimarons were a Uk reggae band that formed in London in 1967 and for this glorious track (which you may recognise from the film This Is England) they teamed up with Barrington Howard, a.k.a Al Barry!…find yourself a copy of this and it will be well worth keeping hold of, in good condition this is now fetching in the realms of about £50!!! Check it out above….. This entry was posted in Reggae and tagged Doctor Bird, Reggae. Bookmark the permalink.